Sam's Dad gives him some wise advice when he sets off to see the world - pretend to have a cold to avoid a snake, glue a crocodile's jaws with bubble gum and always, ALWAYS wash your socks. Will Sam listen, though? A fantastically colourful book from the illustrator of the bestselling How to Grow a Dinosaur and Supermarket Zoo. Paul Bright was born in Hertfordshire and studied Engineering and Materials Science. An expert in Plastics, he used to work for a large chemical company, and spent time living in Switzerland, Holland and Spain. He is currently living in England and focusing on his writing. Paul's first stories were written for his own children when they were young, a pastime which he continued even once they had left home. In addition to his children's stories, Paul's poems have been published in various collections and he has written stories for BBC Radio and BBC websites. 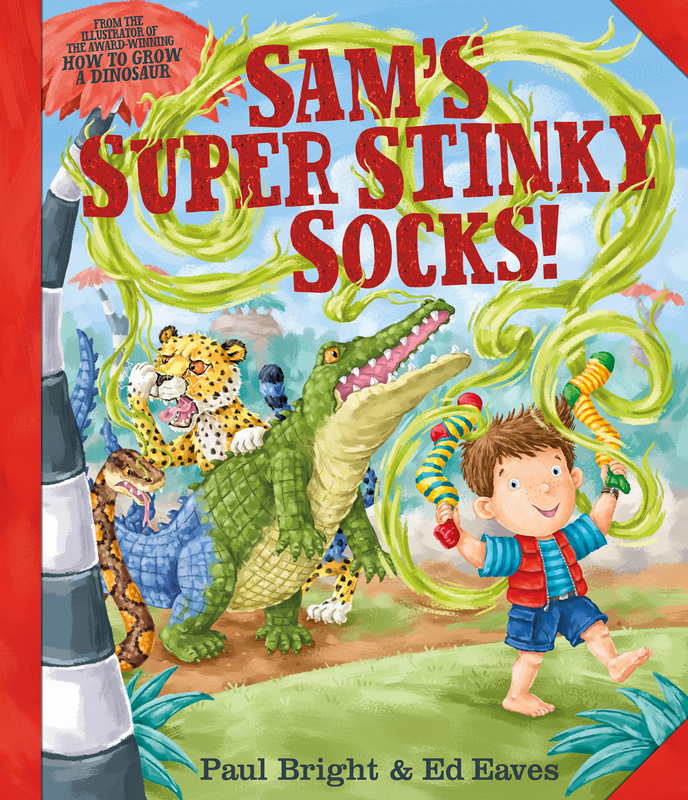 Book Cover Image (jpg): Sam's Super Stinky Socks!